If you were waiting for the arrival of Android 8.1.0 Oreo on your Advan S50 4G, then here is a good news. Those who were wondering to install the latest Stock ROM Firmware on your device, can now rejoice as they can flash the latest software on their device. Advan has officially released the Stock Android 8.1.0 Oreo and AOSP Skin for the Advan S50 4G. The Android 8.1.0 Oreo is latest, and predecessor to the about to be released, Android 8.0 O software. The Official Nougat Firmware comes with the various Bug fixes, Security patches, and improve overall stability of the device. 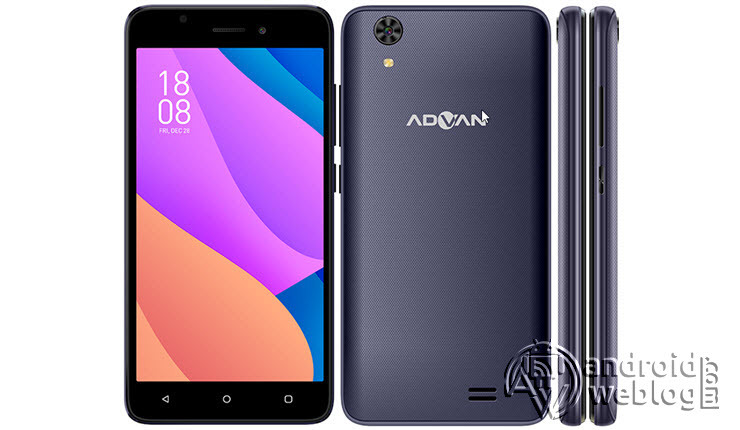 So, if you own a Advan S50 4G, you can install the latest update for your device, which comes with Advan_S50_4G_SC9850KL_V1.0_20180614_8.1_CPB, and is based on Android 8.1.0 Oreo. The update often aims to increase system stability and increase the performance of the device, as well as adding new features. All Advan S50 4G owners may already received the OTA Update notification on their device. You might be already aware of the fact that Android Team fixes the vulnerabilities found in the operating system time to time, and releases the updates on timely manner. The OEMs, then push the Security Updates with patched/ fixed Android vulnerabilities in the form of OTA and Stock ROM updates. Updating your smartphone through OTA Firmware update do not delete the data. In the below guide, we will be guiding you step by step process to flash/ install latest Advan_S50_4G_SC9850KL_V1.0_20180614_8.1_CPB Android 8.1.0 Oreo on Advan S50 4G. The download link for this Stock ROM has been added to the pre-requisite section. You can simply flash the Stock Firmware .pac file manually through SPD Flash Tool, if you have not received it through the OTA update. Updating or flashing the Stock ROM firmware or Custom ROM firmware updates certainly without any doubt comes with risk to brick device. If you brick the device, while upgrading the firmware of your smartphone, then kindly be in touch with the Official Service center of Advan near your location. AndroidWeblog.com in no way will be held responsible for warranty void or your bricked device. You must have to ensure that prior to updating your phone , you have read thoroughly the disclaimer and you agree to proceed further on your risk. If you are updating your phone to Stock ROM or Custom ROM firmware, then, it is a good habit to make a back up of your phone. Make a back up of all your media like images, videos and all on your PC and your contacts on Cloud. Download Latest version of SPD Flashing/ Rooting Tool from here. Download Advan_S50_4G_SC9850KL_V1.0_20180614_8.1_CPB update for Advan S50 4G based on Android 8.1.0 Oreo from here. When a new software update is available for your device, the notifications panel will display the software update message. Just you need to pull down the notification bar, and then press ‘Software Update’, and this will begin the upgrade process of device Advan S50 4G to latest Advan_S50_4G_SC9850KL_V1.0_20180614_8.1_CPB, based on Android 8.1.0 Oreo. If in-case you have not received the software update, then just follow the below guides, to flash firmware (.pac) manually through either below guide. No matter which method you prefer, however, OTA is safer method to upgrade your device. But in case you prefer upgrading your device manually, then just carefully follow our below guide step by step. Step 1: Download and Install the SPD (Spreadtrum) USB Drivers on the computer. If drivers are already installed, then you can skip this step and move forward to the Step 2. Step 2: Download Stock ROM for your Advan S50 4G device from the link mentioned in the pre-requisite section of this article. After downloading the firmware file, extract the archive, and upon extraction there should be multiple .dll files and CmdDloader.exe, UpgradeDownload.exe or ResearchDownload.exe files should be shown. Step 3: Now, click on ‘ResearchDownload’ or ‘UpgradeDownload’ file (You will see either one of these both files based on the file version). Step 4: After launching the SPD Flash Tool, simply switch off your device, and then connect to the computer in turned off condition. Step 5: As soon as device and computer has established the connection through USB cable, look at the SPD Flash Tools ‘Gear Button’s. You have to click on ‘Load Packed’ button which has Single Gear icon, and then add the ‘.pac’ file from the Stock ROM firmware package downloaded for your smartphone. Step 6: After adding the .pac file of Stock ROM, just tap on third button ‘Start Downloading’, this will begin flashing the file on your device, and status would turn ‘Downloading’ and you can notice the ‘Progress’ and time. Step 7: This is usual process that device will get restart automatically during the flashing process. Once the flashing process gets completed, there will be ‘Passed’ message display in ‘SPD Flash Tool’ interface on the screen. Step 8: After ‘Passed’ message displays on the screen, that simply means that latest Stock Firmware based on Android 8.1.0 Oreo has been successfully flashed on your device. Congratulations, you have successfully flashed Advan_S50_4G_SC9850KL_V1.0_20180614_8.1_CPB Android 8.1.0 Oreo on your Advan S50 4G device. If you faced any issue while flashing, then do not hesitate to let’s know in the comments section below.